Fans of TV on the move will be glad to hear that Sling Media plans to release a public beta of SlingPlayer Mobile for BlackBerry later this very month, on December 30. 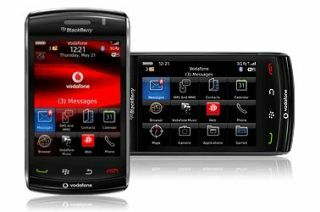 The service will basically let you watch or control your home TV via your CrackBerry, with support initially for the BlackBerry Bold, the Curve 8900, 8820, Curve 8320, Pearl Flip 8220 and the BlackBerry Pearl 8120. The software will work over 3G or Wi-Fi connections, letting you change channels and control your Slingbox remotely on your morning commute. Cool! Something else to annoy our neighbouring passengers on the train with! Sling Media assures TechRadar that it will be extending the support for additional devices later in 2009.